Applegate River is a hidden secret for some of the best fly fishing in Oregon. 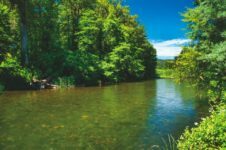 Stretching 51 miles from the Applegate Dam to the Rogue River, Applegate River is suitable for drift and flat bottom boats but many fishing enthusiasts suit up in their waders and head into the water for a mid river experience. If fly fishing isn’t your preference, spring and summer steelhead can be one of the best challenges an angler can find, and the rivers of Southern Oregon are loaded with them. Applegate Lake is home to many birds, wildlife and several extraordinary fisheries; trout and bass being the most popular. Trails around the lake lead you on the 17.5 mile shoreline. The Lake offers convenient boat launching, day use picnicking, swimming, RV and tent site camping, and a convenient general store. With water craft and SUP rentals available Applegate and its surrounding Squaw Lake make for a great place for the outdoor enthusiast or the water novice. Located on 55 acres in Oregon’s beautiful Applegate Valley, Sanctuary One was established in 2007 as the nation’s first care farm. It was founded by a small group of visionaries who never wavered in their belief in the Sanctuary’s mission: to be a safe place for animals and a healing place for people while promoting environmental stewardship. Sanctuary One provides a safe home to rescued farm animals and house pets. We work with area shelters, rescues, and law-enforcement agencies to bring in animals who receive personalized attention, loving rehabilitation, and a peaceful retirement here. The farm includes expansive gardens which not only provide rich vegetables and food for the animals, but opportunities for growth of the people who tend them. and essential oils to art and foods made from different varietals of locally grown Lavender. 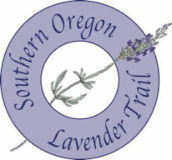 Whether you pick it yourself or just browse the infinite fields, make sure not to miss the Southern Oregon Lavender Trail or check out the Lavender Festival. The surrounding towns of Williams, Murphy and Ruch are all located in the Applegate Valley, and with so many great things to do and experience here, the Applegate Valley is truly a hidden gem of Oregon.